Although the weather isn’t agreeing too much to the change of seasons, the pumpkins are on the stands and the apples are ready to be picked from the trees. This is one of my favorite seasons for baking because it’s the time of year where I get to include all the warm spices into my baking. It’s the season of cinnamon, ginger, nutmeg, allspice and so much more! All those spices that make you want to curl up in front of the fire-place and watch an old movie. 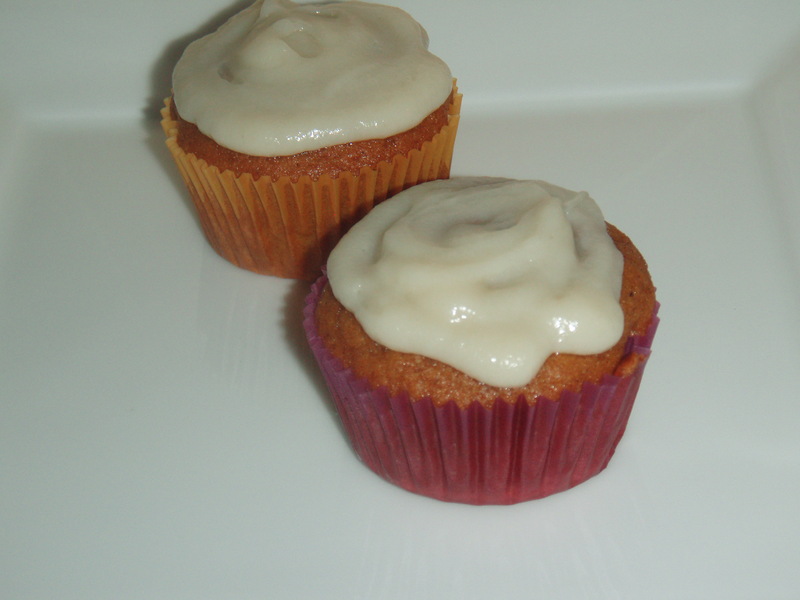 I’ve been on a pumpkin kick lately and whats better than pumpkin cupcakes with cinnamon, ginger and nutmeg with a dollop of maple flavored frosting on top? Now, you may look at what you’ll need and think “wow! 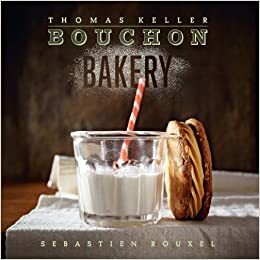 That’s a lot of stuff”, but I promise it’s an easy recipe to follow and all the ingredients can be found in your local supermarket. So have fun with it and play with the flavorings, that’s the best part of fall! 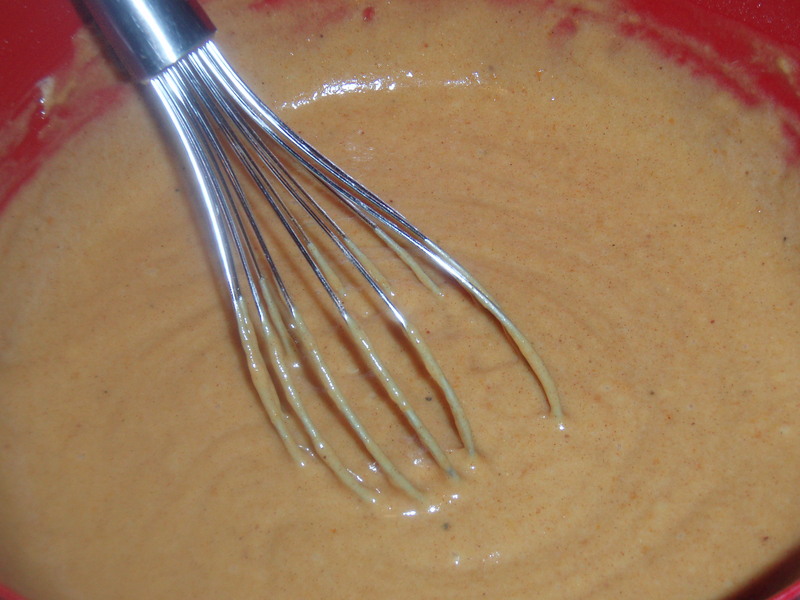 In a medium bowl, sift together the flour, baking powder, baking soda, salt, cinnamon, ginger and nutmeg. 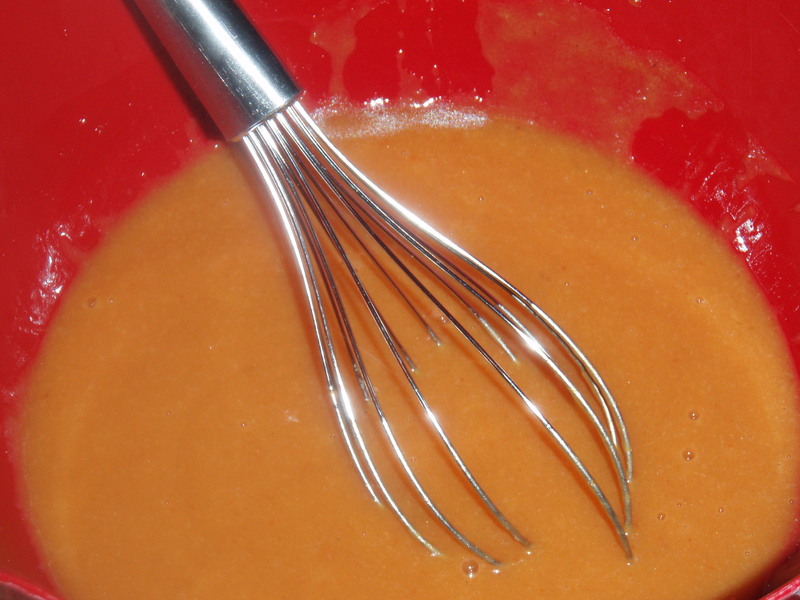 In a large bowl, whisk together the eggs, pumpkin puree, granulated sugar, brown sugar and vegetable oil. 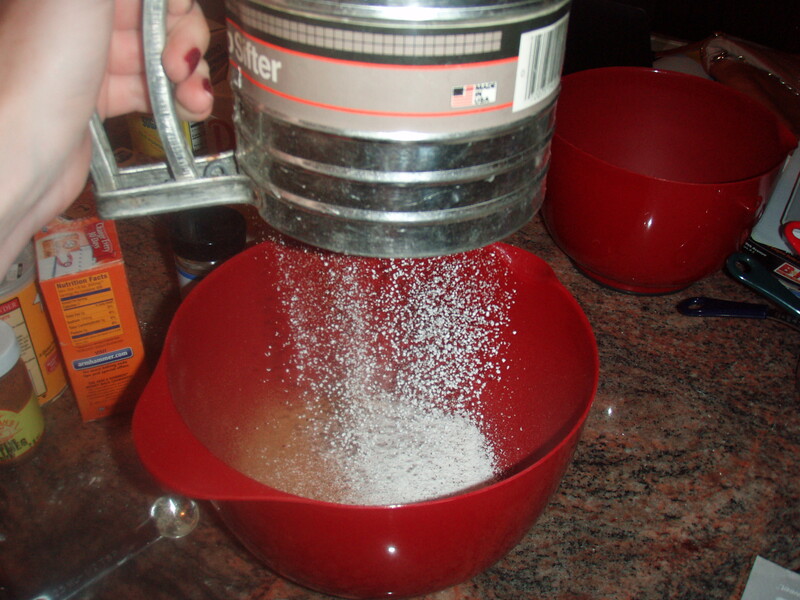 Add the flour mixture into the liquid and stir until combined. 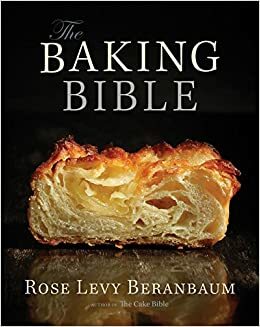 You’ll notice that the batter will begin to lighten a bit. Divide the batter between the prepared tins. I used an ice cream scoop to make insure and even amount of batter in each cup and fill about 3/4 of the way up. 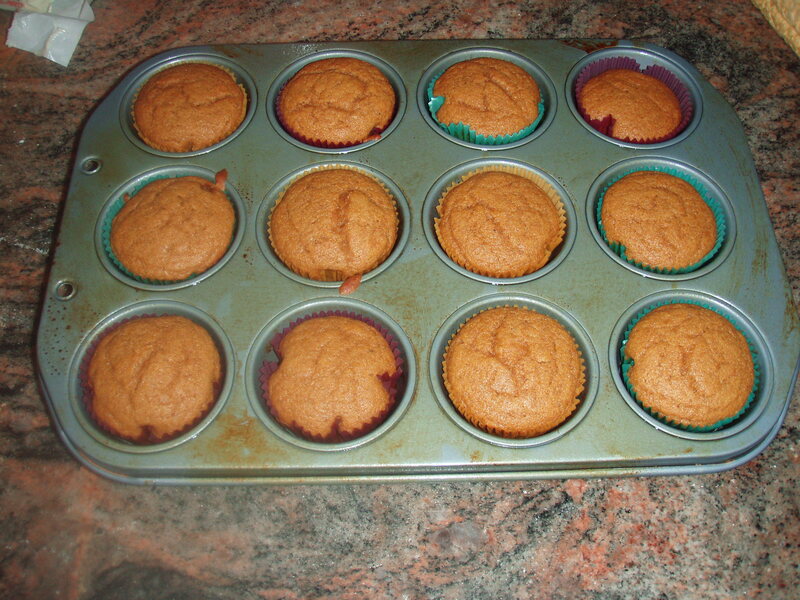 Bake the cupcakes for 20-25 minutes, until a toothpick inserted in the center comes out clean. Set aside and let them cool completely. Now for the frosting! 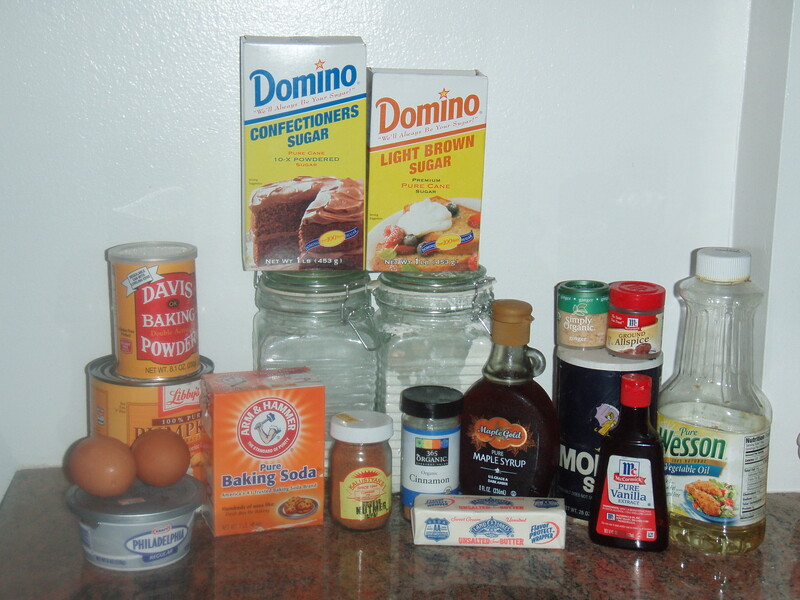 As the cupcakes are cooling you can start preparing the maple frosting. 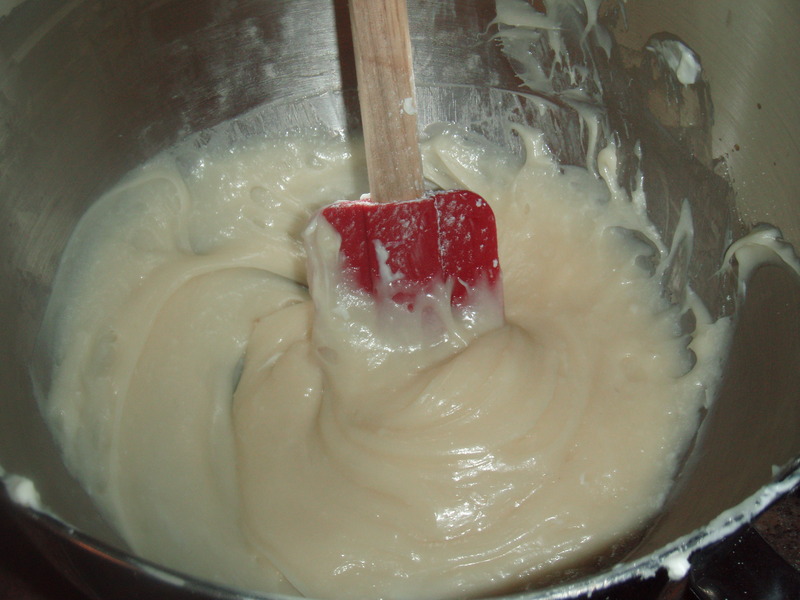 In a large bowl, use a rubber spatula to cream together the cream cheese and butter until smooth. Stir in the maple flavoring and vanilla extract. 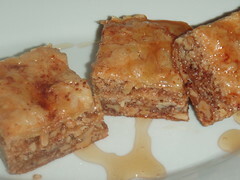 Slowly add in the confectioners’ sugar and mix until smooth. 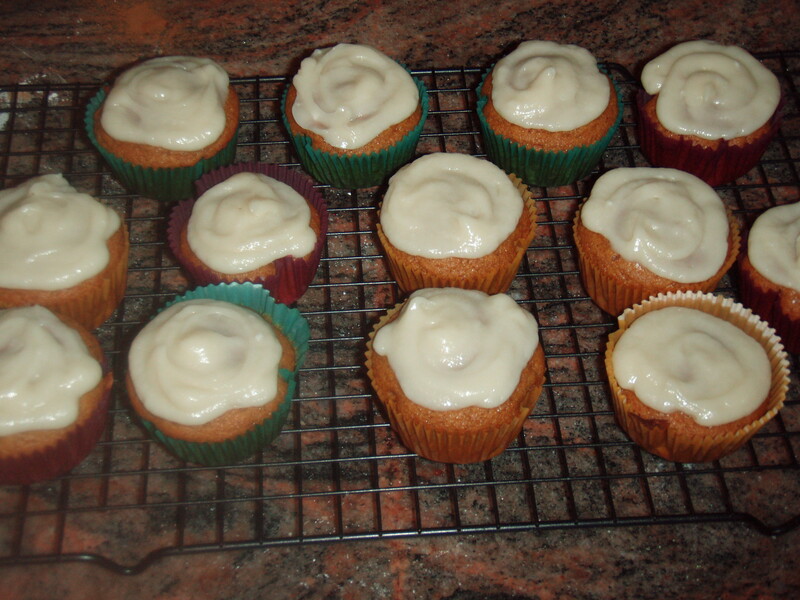 Once the cupcakes are completely cooled, spread the maple frosting over the top and enjoy!! Believe it or not I’ve never had anything Pumpkin!